Allan was born November 10, 1954, at St. James Hospital in Perham, the son of Alfred and Marian (Blauert) Bachmann. He grew up in Evergreen and was baptized and confirmed at St. Paul Lutheran Church-Evergreen. 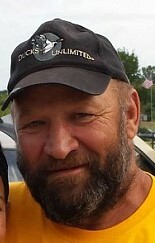 Al graduated from Frazee High School class of 1972. He continued to work on the family farm after graduation for a couple years. Al worked at Vergas Mill & Elevator, Central Specialties, Perco, Prairie Bean, Mickelson New Life Farms and drove school bus in Frazee. He served as a member of the Vergas Volunteer Fire department. He enjoyed fishing, hunting, and playing softball, but his true passion was baseball. Al played town team baseball for Perham, Vergas, Wolf Lake, Corliss, and Frazee. He was a strong pitcher and would often be drafted by area teams during playoff time. On July 11, 1990, Al was united in marriage to Paulette Aldrich in Detroit Lakes. Al was a jack of all trades and a master of odd jobs. He liked helping people in need, and especially enjoyed spending time with his family and attending his grandchildren’s school events and activities. He will always be remembered for his laughter and was fondly known as "Punk" or “Bubbles”, may his laughter be forever a memory to all. He is survived by his wife Paulette Bachmann of Frazee; children: Chris (Irma) Schram of Frazee; Jennifer (Jerry) Moris of Perham; Erin (Jason) Ruud of West Fargo; Tony (Nikki) Schram of Hibbing; Jake (Shantel) Bachmann of Frazee; Annie (Ryan) Vigen of Frazee; 11 grandchildren; parents: Alfred and Marian Bachmann of Frazee; brother: Darwin Bachmann of Frazee; sister: Jolene (John) Bruhn of Vergas; and other extended family and friends. Al was preceded in death by a grandson: Reed Bachmann. Memorial services will be held 2:00 p.m., Wednesday, July 25, 2018 at Bethlehem Lutheran Church in Frazee. Visitation will be held from 5-7 p.m., Tuesday, July 24 at Bethlehem Lutheran Church. 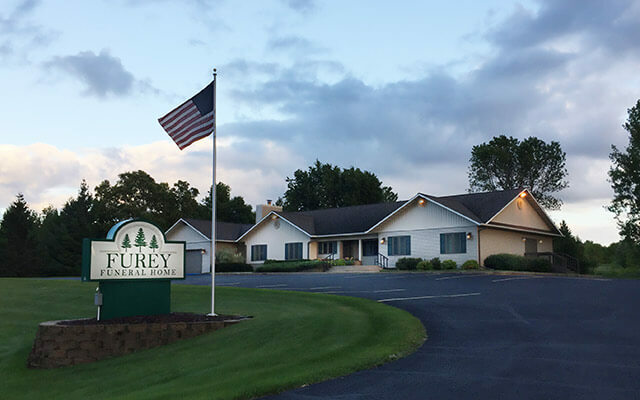 Furey Funeral Home is assisting the family with funeral arrangements. Visit www.fureyfh.com to leave online condolences.